Home Tags Articles tagged with "MCSO"
Ten days after he went missing, a search party of family and friends located the body of 84-year-old Max Schrader around 10 a.m. Saturday, according to the Maricopa County Sheriff’s Office. Officers believe Schrader was traveling a “backwoods roadway” from Mobile to Rainbow Valley when his vehicle broke down or got stuck. He then apparently tried to walk back to is home in Mobile with no food or water. Family realized he was missing April 3. 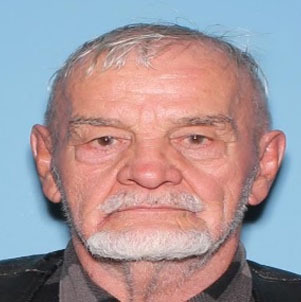 MCSO was notified April 6, and a Silver Alert was issued across the state. Deputies reportedly joined the search being conducted by Schrader’s family, friends and volunteers. His car was found April 9. It appeared Max was traveling a backwoods roadway to enter Rainbow Valley from Mobil and his vehicle broke down or got stuck on a dirt road. He then attempted to travel on foot back to his home with no food or water and likely perished from the elements. According to MCSO, there do not appear to be any signs of suspicious circumstances or foul play. A medical examiner will determine the cause of death. Schrader was described as deaf but had no other medical conditions.